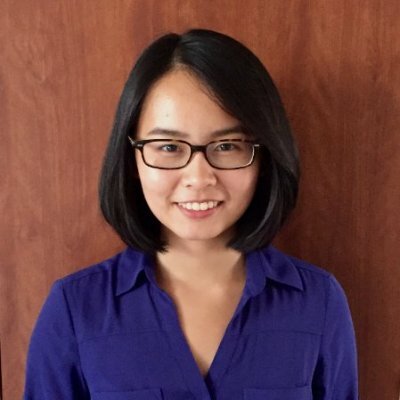 Microbiology major and May 2017 graduate Annie Zhang won first place at the 2017 Denman Undergraduate Research Forum for her work evaluating the accuracy of a low-cost diagnostic test for drug-resistant tuberculosis. This fall, she will begin medical school at the University of Chicago. Tell us about your Denman resesarch presentation. My presentation was an extension of a five-week research trip to Malawi last summer, where our team conducted a study at a rural hospital to assess effectiveness of a novel tuberculosis diagnostic test. Currently, TB diagnostics tend to be limited in low-income countries, and there is a push to develop new, highly sensitive diagnostics providing rapid results for drug resistance, a major concern in TB treatment. The population we studied had few cases of drug resistance, but we found our test very accurate in diagnosing active pulmonary TB. How did you get interested in microbiology? I read The Hot Zone in high school and was fascinated by infectious diseases. Naturally, microbiology was a great fit to learn more about how diseases function at a molecular level. I live in Dublin, Ohio, and grew up around campus (my dad is a civil engineer at Ohio State) so was familiar with the incredible resources and opportunities available. The Honors and Scholars’ Eminence Fellows Program was a deciding factor. Four years later, I am so happy I made that decision; I am continually impressed with the great work this university is committed to. I’ve been fortunate to meet professors who I look up to both personally and professionally, including my research mentor, Dr. Jesse Kwiek. They genuinely care about their students and, despite being insanely busy, still found time to mentor me. I would not be where I am today without the support of my family and the example my parents set for me. Any other awards, honors or activities you’d like to mention? I received the Research Scholar Award, the SOLAR Fund Award for my research and an Outreach and Engagement grant funded my work in Malawi last summer. Also, I would love to give a shout out to ENCompass, a student organization seeking to bridge the gap between medical and social care in underserved Columbus neighborhoods, which has been a huge part of my college career.